Rothesay Primary School held their first ever Eco day on Monday 9th May. It was a huge success. The Eco committee worked with teachers to organise lots of different activities and all 255 pupils took part. Some of the favourite things were making (and eating) fruit kebabs, making bird feeders, parachute games, Eco art, making Earth mobiles, and singing Eco songs. We also picked up every scrap of litter from the playground. The whole school learned about the United Nations’ Global Goals for Sustainability, too. 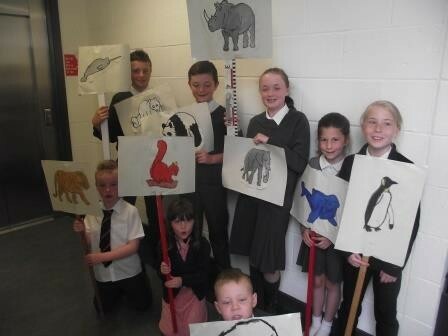 Nobody got lost because the Eco team made signs to carry that showed endangered animals, and Rothesay Academy’s Eco committee were on hand to help us. We wore Eco colours and raised £96 towards Eco funds. 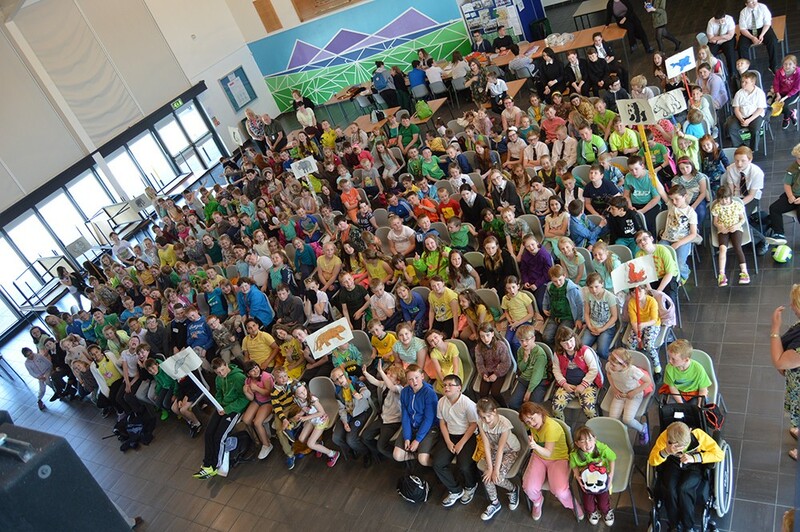 The day raised awareness of Eco issues in the whole school community, and was great fun at the same time! Transition Time at Colgrain International Education at St. Joseph’s!